Movies and popcorn are a perfect pair. 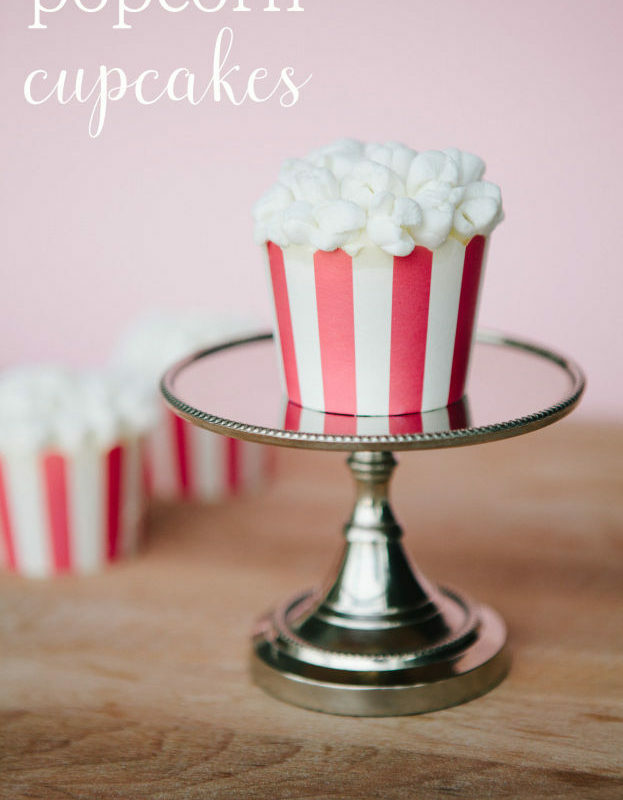 But we’ve got your family’s new favorite pairing: movies and cupcakes … that look like popcorn. 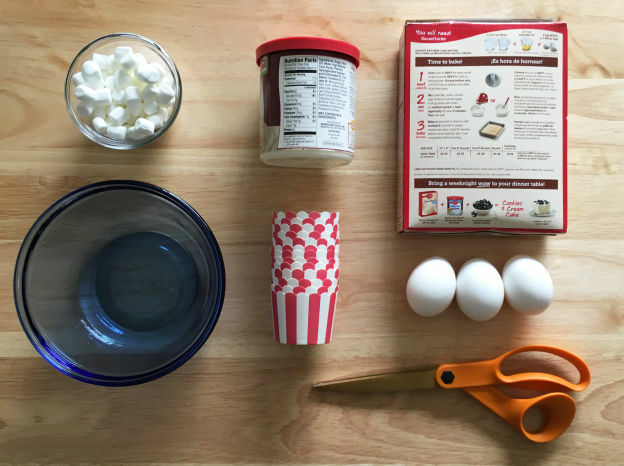 Yes, we’re serious – Popcorn Cupcakes. By making little cuts in mini marshmallows, you can turn the standard party treat into the star of the night. 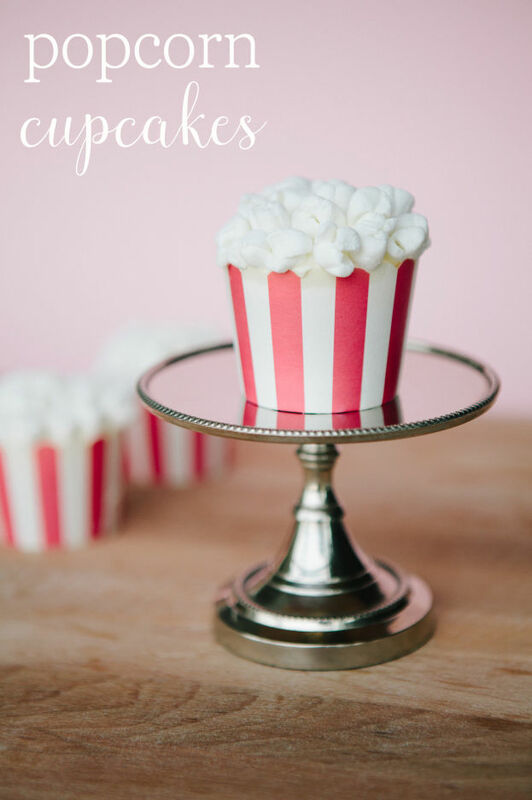 These adorable Popcorn Cupcakes are perfect for movie nights, themed events, or Oscar viewing parties. Preheat oven and make cake batter according to the directions. Pour batter into cupcake liners, about 3/4 of the way. Bake for designated time. In the meantime, make your marshmallow popcorn. Simply cut to make “X” or “T” shapes — varying the cuts looks more natural. Once cupcakes are done, let them cool and frost each. Next, place the “popcorn” onto the frosting, starting with the outer edges then the center. 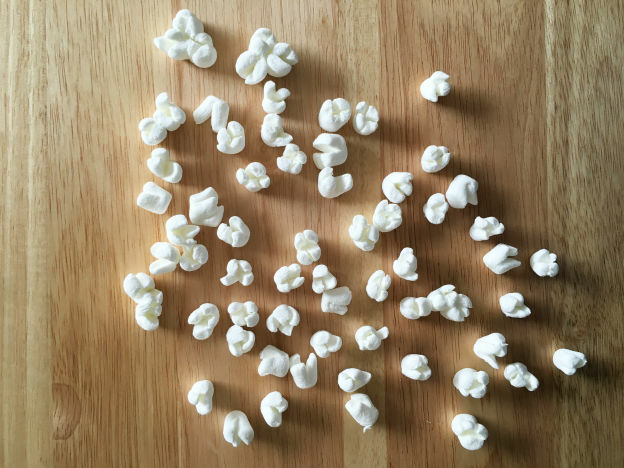 Make sure those on the outer edge are tilted, facing out, to look like the popcorn is spilling out. Each cupcake will need about 20. Then they’re ready to serve!